Welcome to the Petersham Gun Club. We are a Club which includes target shooting, sporting clays, trap, archery, Annual Children’s Fishing Derby and Veteran’s Fishing Derby, monthly suppers and penny socials, plus many other events each year. We also have a clubhouse and grounds which are available for rental for private parties, reunions and weddings–or anything else you might want a great site for. For the latest updates and upcoming events click HERE to visit our Facebook page! Thank you to all of you who have sent your membership money in for 2018. You still have a few more weeks until they are considered late and you will owe the full $35 at that point. If you have filled out a waiver in the past, you can mail a check to me at the club with your name and email address on a sticky note, or something simple, and the Club will send you out your card. Or you can print an application and a waiver from the website. Reminder ~ Spring is just around the corner. Perhaps you want to dust off those turkey calls and practice a bit. Soon PGC will have sign ups available for our biggest turkey contest, don’t forget to stop in and get your name on the list before the season starts. PGC’s annual archery league will be starting up soon on April 25th. Congratulations to Matt Bardsleywho won PGC’s annual Big Buck Contest. 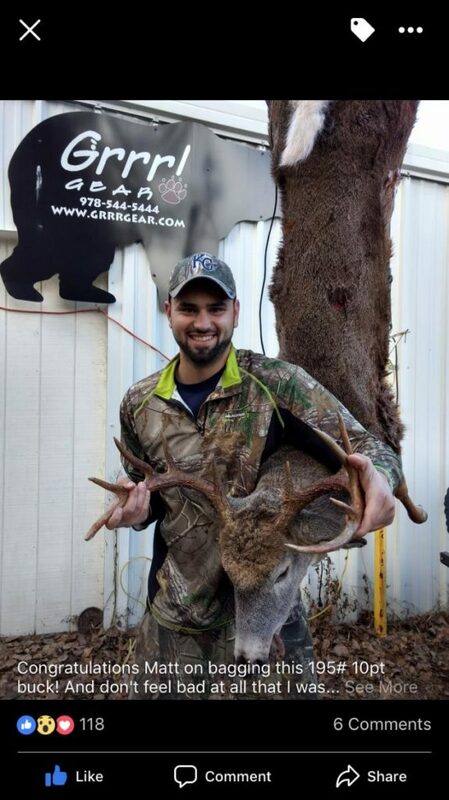 Matt harvested this 195-pound, ten pointer with his bow! Nice job Matt! Want to have your child or grandchild to be featured on PGC’s spotlight on youth? If so, email pictures of them enjoying the outdoors to PGC. PGC sends out a special thanks to Steve at AJ’s Taxidermyfor continuing to sponsor PGC’s youth deer hunt contest. 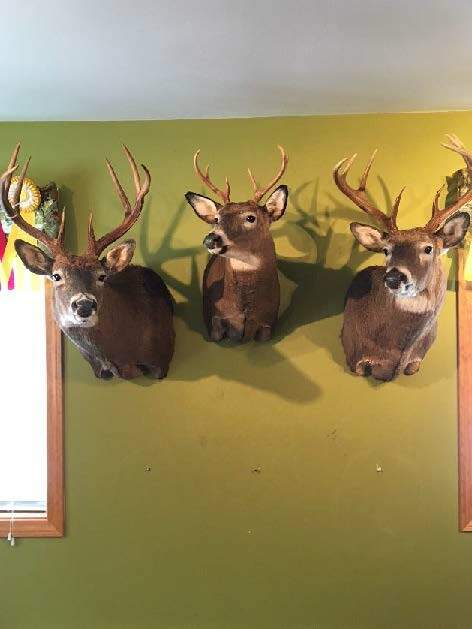 Below are 3 mounts that he did for our young hunters, and the best part is, he scrambled and had them done in time for Christmas. It is time again for PGC’s annual 100 club!